Your music is your passion. Your songs are super personal creations that you've put all of yourself into. Your songs have their own energy, emotion, meaning, character, and feel. Taking all that magical stuff that you love about your music and turning it into a final product that you can be proud of is a delicate task that must be done right if your songs are to be heard the way they're intended. I want to make sure that when your fans listen to your songs they hear what you hear in your head. As a musician myself, I understand the way you feel about your songs, so I take working on them very seriously. 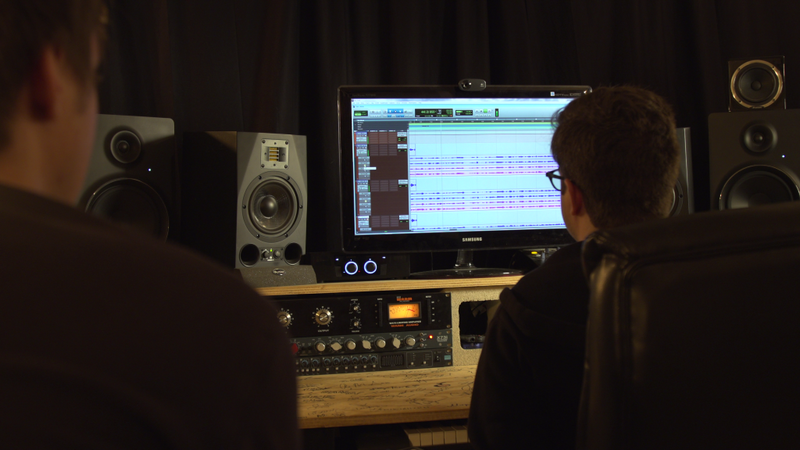 Choosing the right engineer is a tough decision - it's about more than looking for the best gear, best price, or the most impressive credits. It's about finding a partner for your creative work who shares your passion, it's about finding someone who you feel comfortable entrusting your art to. It's about finding someone who puts as much into their work as you put into yours. * A sense of musicality - Peter is able to understand the music as a whole and not just as a collection of tracks to be treated separately and then just combined. When listening to his mixes, you can hear how his background as a musician and producer influence his approach. * A refreshing humility and a strong drive for excellence - Peter is extremely easy to work with and is always wanting to make improvements. A winning combination for success! Coming from a “pop punk” sort of view, if you want your songs to hit hard and sound extra punchy, Peter does such an amazing job really bringing your tracks to life. From heavy hitting breakdowns to smooth ambience or punchy grooves, Peters work with Lineup Rookie and Hard To Hit really showcase his skills. From distorted heavy madness to a clean and crisp sound, this guy is your ticket to making your music sound professional and fun, while still keeping your vision alive and well. Bassist here. So naturally I think one marker of a good mix vs a great mix is the bass blend. Bassists want to be heard, but everyone else is like "...ok but just a little." Peter finds that sweet spot of a great bass tone that fills a low end of a mix while also blending the sound with the track so it suits the song. Stepping outside of just bass, Peter brings songs together. He has a deep knowledge across many genres and has made impressive mixes anywhere from metal to folk. I strongly recommend checking Peter out for any mixing needs as well as tracking if you're looking for that too. Plain and simple, Peter Duff is a godsend in smoothing out any type of project you may have, from pop indie to metal. I have made two records with him in the funk/soul category and he did the perfect job at very reasonable rates. If you need anything mixed, do not hesitate to reach out to him. He’s a fantastic person and an even better mixer! When it comes to mixing and production, Peter is in a league of his own. He makes the recording process feel effortless and fun. Most importantly, his mixes sound impeccable- he could make a piece of crap sound like a grammy winner. I have worked in the music industry for over two decades and have yet to find another producer like Peter. 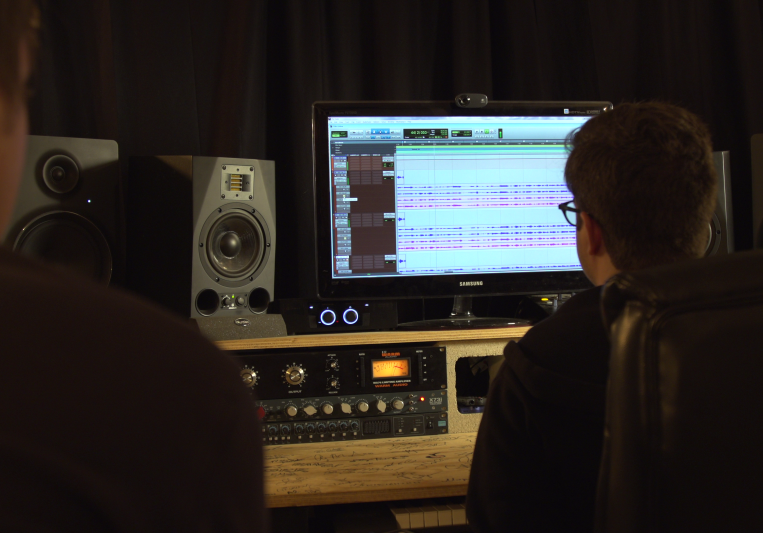 World class mixing and mastering - honestly it doesn't get better than working with Peter. He's a true professional and makes the process fun and enjoyable from start to finish. I've got nothing but compliments from people on how GREAT my tracks sound after Peter finished mixing and mastering them. Do yourself a favor and work with Peter! Great mixes and masters and great gear. He's nice and always willing tow or with the person on what they're going for. The studio is clean and very professional looking. Love the grey brick recording studio!!! Peter is one of the best producers I've worked with on my debut EP. He can make a bedroom recording (which is literally what I did to track guitars through my amp) sound professional! He makes sure that you are more than happy with your work and I'm really glad I chose to work with him. Everything is really laid back and his rates are affordable for what you get! Even if you're not happy with your mix (which you won't have to worry about since he nails it every time), he'll be happy to revise and fix whatever needs to be done! I highly recommend him and can't wait to work with him more! Peter was great to work with. He took care of the mixing and mastering of my band’s entire E.P. All of my revisions for the final mixes were met with great attitude and efficiency. Would recommend for anyone looking for a professional audio engineer to help with your project. Turn around is typically 1-2 weeks depending on my work load. Unlimited revisions for 14 days after delivery. I'm not happy if you're not happy.